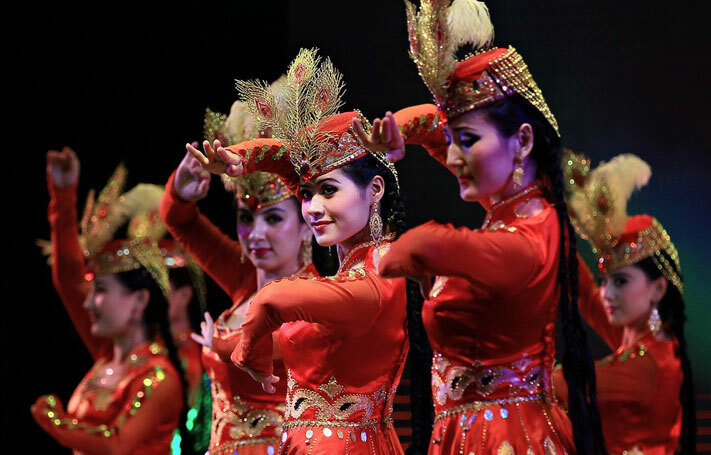 Titled ‘China Dream, Colorful Silk Road,’the 4th Xinjiang International Dance Festival kicked off in Urumqi on July 20. There will be 70 performances by dancers from 10 countries, including Russia, Turkey, Serbia, among others. These countries and more came together during the ancient Silk Road as a cultural melting pot. The festival also hosts master classes as well as a dance and art fair running until August 5. Confucius is not just food for philosophical thought, but for dance inspiration. The China National Opera and Dance Drama Theater will bring their large-scale drama on the time-honored political theorist to Xinjiang's stage. However, he is not the only legendary Chinese figure depicted in the opera. The Taiyuan Dance Troupe from Shanxi province will present a dance drama about Guanyin, the Buddhist goddess of mercy. Meanwhile, local troupes from Xinjiang depict native folk sagas through dance. The festival will close with the Arabian epic 'One Thousand and One Nights,' performance by The National Ballet of Belarus, following their 'Giselle,' which is regarded as the epitome of the Romantic Ballet.